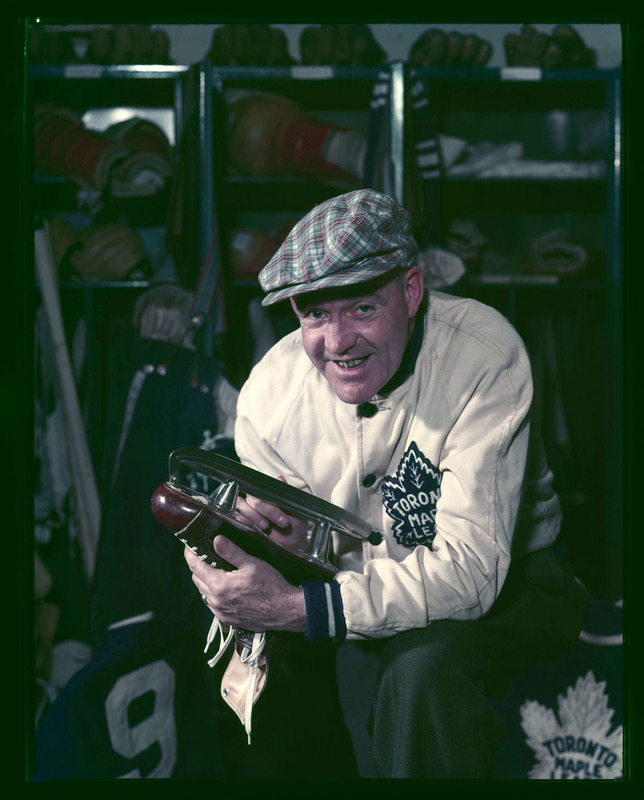 Drillon did fine without enhanced equipment — he was a first-team all-star in his heyday, leading the league in scoring in 1938 as a Maple Leaf, and taking the home the Lady Byng, too, as the NHL’s gallantest player. That doesn’t mean other dreamers, including the NHL itself, haven’t entertained waking designs over the years of stretching sticks and speeding skates. Actually, I don’t know about the sticks — but enriched skates definitely figure in NHL history. Maybe you recall Tory Weber. Or, no, probably not. But his big idea might ring a bell, if only because it attracted Wayne Gretzky’s interest and endorsement a few years ago, and looked like it might even be on the verge of a breakthrough onto NHL ice. Weber was the Calgary inventor who dreamed that heated skate blades would revolutionize hockey, increasing the speed of players and thereby the game they were playing. His Thermablades started to gain traction in the hockey world in 2005. Gretzky was an enthusiastic investor, and so was Harley Hotchkiss, one of the owners of the Calgary Flames and the presiding chairman of the NHL’s board of governors. Skates glide on a film of water that’s created by pressure. Heated by a tiny lithium battery, Weber’s prototypes increased the layer of lubrication that forms, reducing friction, enhancing smoothness, increasing speed. Gretzky testified that that its “performance benefits” would boost the game by making it “more exciting to play and watch.” Hotchkiss felt that it could reduce injuries. NHL players who tried Thermablades liked them; Craig Conroy of the Calgary Flames was getting ready to wear in his team’s home opener in 2008. That was before the NHL nixed them. The league’s GMs had their doubts, including concerns about cost and damage that might be done to the ice. They wondered whether Thermablades might make hockey too fast. Without NHL support, Tory Weber’s company struggled. By the summer of 2009, it slid into bankruptcy. It wasn’t the first time a speedier skate almost accelerated onto NHL ice. Forty years earlier, another inventor had a flash of inspiration not so far removed from Troy Weber’s, and by 1960, Wilfrid Vaillancourt — Monk, to his friends — was on the brink of his breakthrough with the — well, it was either the “lubri-skate” or the “lubra-skate,” depending on the newspaper you were reading back then. Vaillancourt was a steelworker at this time in Sault Ste. Marie, Ontario. We know that he later went on to take charge of maintenance projects at the Soo’s International Bridge, a job he kept for 33 years, through to his retirement in 1995. A sizeable idea that came out of that job was a new and efficient mobile scaffolding structure he conceived of that (he said) would slash maintenance costs on big bridges by 70 per cent. 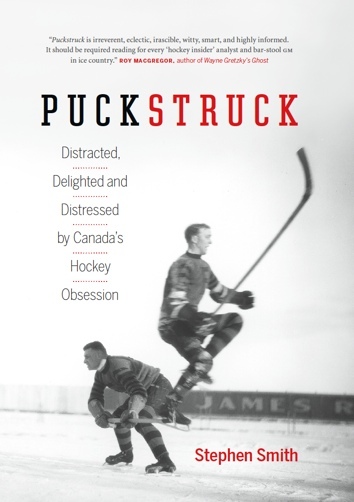 Nowhere in the reading I’ve done on the Vaillancourt skate addresses what, to me, is the central question: what about all the oil spilling all over the ice over the course of a game’s worth of trickling? Was no-one worried about the pollution or the risk of second-period flash-fires? Okay, so I guess the oil was soluble. What I can report with some assurance is that CCM got involved and worked up some testers. As would be the case with Thermablades, a lot of hockey people were excited by the prospect of oiling their skates. Don Grosso tried, retired veteran of nine years with Detroit, Chicago, and Boston. The NHL rules committee heard about them, and sounded willing to take a look. “We favour anything that can improve the equipment of players,” the president himself declared, Clarence Campbell. He suggested that six sets be delivered, for trial by one player on each team. The veteran left-winger was impressed and it was all but decided to use the secret weapon against the Montreal Canadiens. There was one big stumbling block. Throughout the trial, Olmstead found that his linemates’ passes failed to reach him, falling astern in the spot where he would have been at normal speed. Rather than disrupt the passing patterns during the playoffs, the idea was shelved. “The speed would upset our timing,” a Leaf official said. Vaillancourt didn’t entirely abandon his hockey dreams, I should note. In 1998, The Sault Star checked in with him to learn about his focus on transforming the game by re-imagining the entire ice surface. His new version mixed in silicone with the water you’d be freezing for your rink, which would (again) reduce the friction of skate blades. Dura Fast, he was calling it, and he secured a distributor before deciding … well, no one was really interested.